Journey Camp! – A place where children grow. 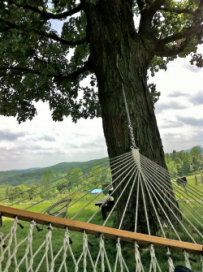 We'll enjoy together the animals, gardens, rolling meadows and woods of Open View Farm. 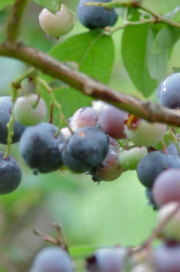 We'll pick the blue berries that will be in season. We'll build stick houses around a wading stream (a licensed lifeguard in on the staff). New workshops added will include woodworking and basketmaking. 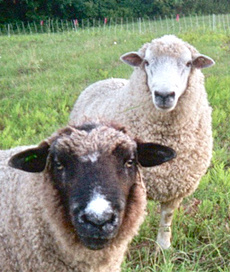 Open View Farm is a small family farm located in the rolling hills of Conway, MA. They raise Shropshire and Romney-Coopworth sheep, have bantam chickens, a labradoodle dog, and a loving and attentive llama named Lily. You can start the session on either Monday or Tuesday since some schools have a final half day on Monday. 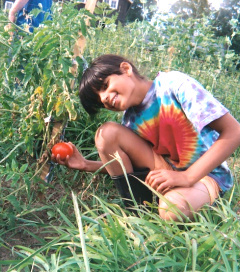 Emmy Howe's farm is a mile away from Natural Roots Farm. Parents arrange car pools from Northampton, Amherst, West County and other locations. The day will begin with farm workshops and then continue the Journey Camp traditions of building stick houses, Roots Groups, and choices of afternoon workshops after storytelling under the Story Tree. During Two Week camp a Pageant is created. Families attend a presentation along with a family picnic at 5 PM Thursday July 14th. Participation in the pageant is optional. Children can design their own roles, taking part at their own comfort level, or adding their creativity in other ways with songwriting or artwork. It's a low pressure atmosphere. The jokes and themes of the weeks can be expressed, and campers decide whether to be audience members, actors, dancers, or singers. The Thursday evening event during the third week provides an exciting close to the session. Emmy Howe will join the camp staff for this week. 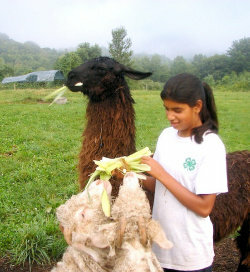 Puja Kranz-Howe, a beloved staff member for all Journey Camp weeks, is delighted that camp can come to her family farm. 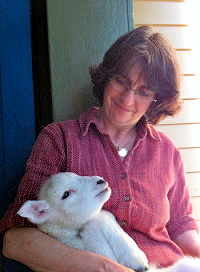 Director Sarah Pirtle will create new stories to tell under the new Story Tree of Open View Farm. Three more staff will join Farm Week to create a relaxed, fun week forming a close friendly community while feeling bonded with the earth. Step Two: Send registration information by printing and mailing our registration form, or use the online application form on this website. Twelve and Thirteen year olds can inquire to see if he or she would be more appropriately placed as a camper or a CIT. Attend a one day training before camp. Cost: $150 to $275. Because this is a leadership training program which includes extensive daily mentoring, there is a sliding scale fee.